More than 30 years designing in Spain comfortable, contemporary clothing of an unbeatable quality/price ratio. Clothing made for everyone which can be worn every day. We are proud of being much more than just a textile fashion company. We strongly believe our work can bring a positive impact for the countries where we are present. Nowadays, there are over 4000 LOSAN points of sale in 4 different continents. Join our big LOSAN family! Herringbone plaid shirt in green. 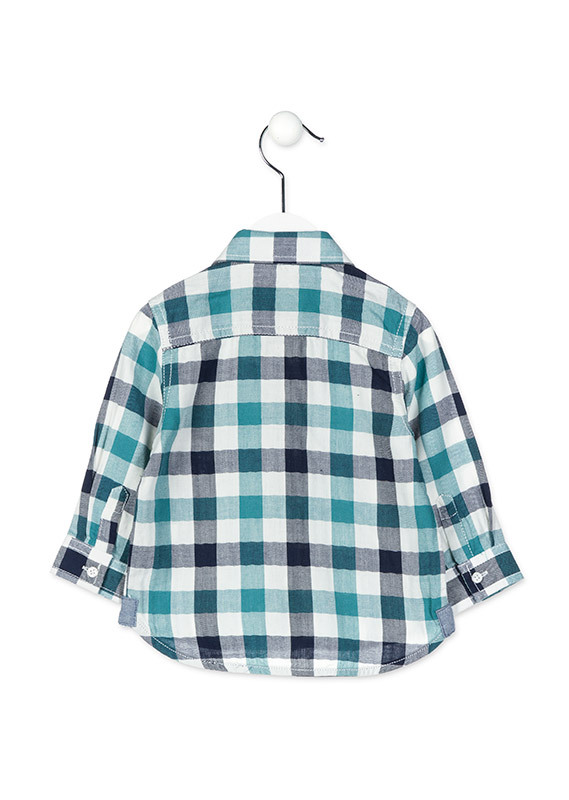 Herringbone plaid shirt in green for baby boy. 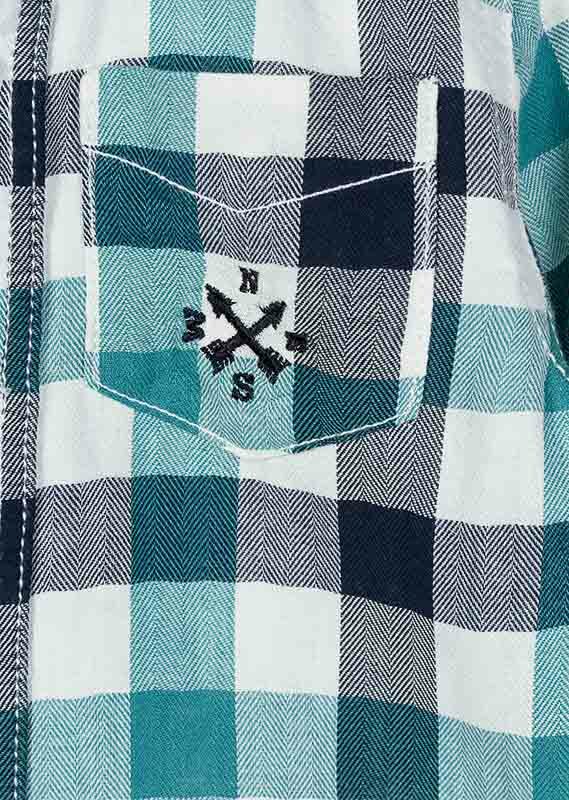 Long sleeve cotton shirt with a breast pocket and an embroidery featuring cardinal direction in blue on the pocket. Seam cover-up on the inside of the back hemline. Custom branded Losan buttons. More information about Herringbone plaid shirt in green. This Spring/Summer 2019 season LOSAN brings you the best design in SHIRTS for BABY BOY. You'll be able to pick from a wide range of pieces. Confortable clothing that is perfect for every occasion. Visit the rest of LOSAN's Spring/Summer 2019 catalogue and choose from a lot of great SHIRTS that can be worn on any occasion. You'll hit the jackpot every single time! 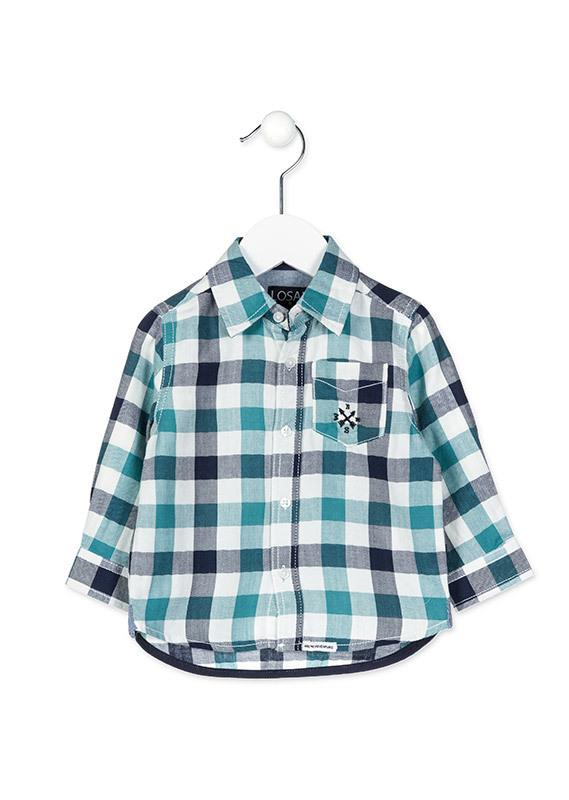 Herringbone plaid shirt in green for baby boy In the Autumn/Winter LOSAN will have access to an extensive catalog ofshirts. All our clothes are designed to be comfortable, to be combined, for fun following trends and to make a little happier every day. Fashion for day to day with a casual and fun touch in which combinations of color, prints and mixed fabrics are the protagonists. Turn your clothing inside out before washing and apply water temperature recommendations on the label. Wash bold colours and light colours separately. Hanging your clothes to dry breath before wearing them again is sometimes enough. Try not to wring your printed or detailed garments by twisting them. Do not iron these garments inside out. If you use a stain remover, remember to wash the whole garment afterwards to prevent colours from fading. Dry-clean only when strictly necessary. You'll be reducing your environmental impact. This product belongs in our last season. No need to worry though: we've got great new products for you! Blue poplin shirt with raw patches. Cotton mandarin collar shirt with stripes in blue. Long sleeve mandarin collar linen shirt. Do you want to be aware of all our news? Would you like to get LOSAN news and updates? Tell me more about LOSAN!